Raine & Horne revealed that since launching the group’s exclusive social media marketing platform, Amplify, in April three quarters of the Australian population have been exposed to the Raine & Horne brand. 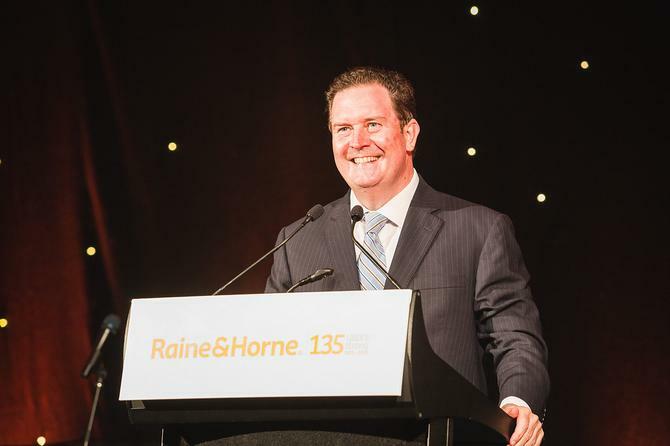 Angus Raine, executive chairman of Raine & Horne, also said the Raine & Horne offices committing to Amplify have seen up to a 1000 per cent increase in traffic to their websites. The property group became the first real estate company in Australia to take on Amplify, a digital marketing platform developed by European social media marketing player, CCT Marketing. The technology pulls together programmatic marketing capability with social media platforms such as Facebook, Instagram, LinkedIn and the Google Ad network in order to automate, customise and optimise advertising in these channels. Via the solution, the group can create and stream up to 72 unique ads for an individual vendor’s property across multiple online sites incorporating images and copy. Amplify then employs algorithms to optimise ad campaigns, streaming the best performing ads while removing the least effective by directly targeting online prospects based on behavioural and online profiling data. “Since launching Amplify four months ago, we have used the platform to help market about 1700 campaigns, which is a significantly small portion of our total listings,” Raine said. “It’s only early days, but already those properties that have used the Amplify platform have pushed our brand to 15.5 million Australians with around 1.959 million clicking through from the ads. “This represents a click-through rate of 12 per cent, where the industry average is less than one per cent. Moreover, consumers have spent an average of almost 2.5 minutes viewing individual properties compared to the real estate industry average of 30 seconds. “The Raine & Horne website is ranking number one behind the portals in the suburbs and towns where Amplify is being used to promote properties. This high ranking is a fantastic result given we have only been using Amplify for a short time. “More pleasing for me is that along with the video content enhancements to a website, and the launch of our digital listing tool, Digikit, innovations such as Amplify are resonating with consumers and real estate agents across Australia.